1. Which of the societal challenges do you see as the most pressing that can be addressed by technical universities today? In a world facing unprecedented economic, climate, health and security challenges, the university holds the key to the peaceful and harmonious development of our humanity. The most enlightened governments have realized that the emphasis put on research, education and entrepreneurship is the foundation of tomorrow’s prosperity. Challenges involve maintaining global economic growth at times of huge public and private debt, ensuring sustainable development at times of global warming, guaranteeing citizen safety against terrorists and rogue states, diagnosing and curing new infections and age-related disabilities and diseases. Innovation, disruptive technologies, and more specifically the industrial Internet will bring decisive weapons to face these challenges and warrant prosperity. While curiosity-driven research should be carefully protected as the source of major human progress, we will more and more request that our scientists consider potential societal applications of their work. This allows us to create innovative multidisciplinary academic programs in strategic fields such as the energy transition, artificial intelligence, smart cities, cybersecurity, financial regulation or healthcare, as we currently do at École Polytechnique. 2. What has driven École Polytechnique to join the EuroTech Universities Alliance and where do you see the best opportunities for success? The EuroTech Universities Alliance member institutions share the same values as l’X and the same vision on higher education and research: they put emphasis on scientific excellence, student selectivity, willingness to recruit talented and high-level professors and researchers. They deliver training with a good balance in their connections with the scientific and the corporate world. École Polytechnique’s mission today is to generate cutting edge knowledge for the benefit of society, and to disseminate it to students, entrepreneurs and industry at large. We believe in the importance of science and innovation as major drivers of societal well-being, and we are also very keen on the importance of the employability of our students. 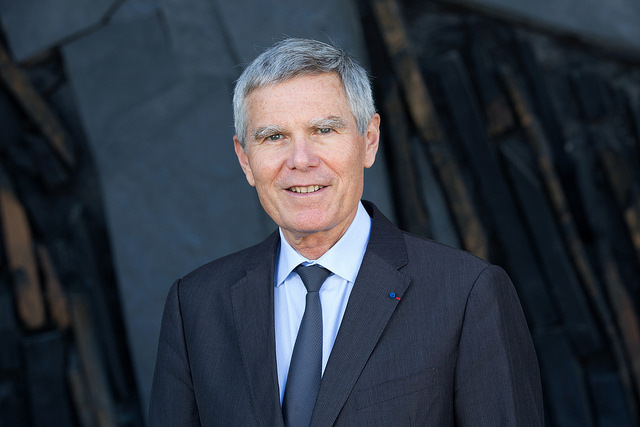 Building on our leading position in France, with a unique degree of interaction with CNRS, the National Research Agency, we have strengthened our plea for research as the major driver of our growth. Fostering academic cooperation, strengthening scientific and academic exchange opportunities and promoting international understanding, we should, in collaboration with the EuroTech Universities Alliance member institutions, four excellent global science and technology universities, evolve together to foster the emergence of the new era and face the societal challenges of today. 3. What can École Polytechnique bring to the Alliance and which Focus Area(s) or activities would you like to develop within the Alliance? The EuroTech Universities Alliance member institutions are strongly involved in the development of Innovation and Entrepreneurship and each have a network of industrial partners. In addition to teaching and research, the third pillar of our activity at École Polytechnique is entrepreneurship that becomes, more than ever, a preferred way to create value out of the skills and knowledge developed in our labs and in our classrooms. We created an ecosystem that enables us to really foster entrepreneurship and relationship between our scientists, our students and industry in the interest of society. Many students and scientists wish to play a faster and more direct role in transforming the world by creating their own start-ups. This is a trend universities should encourage, as we did at l’X by opening Drahi X-Novation Center, which offers an ecosystem with a blend of prototyping space, early start-up acceleration, incubation, financing and open-innovation from large multinationals. The EuroTech Universities Alliance’s entrepreneurial and corporate networks are largely complementary and cover a significant part of Europe. Being the first French institution to join the Alliance, we wish to contribute to this project as its benefit in terms of change is dual, with the direct contribution of successful start-uppers, but also with the generalization of an audacious state of mind in the entire student population – a positive impact even for those who will work in government, in academia or in large corporations. 4. President Macron proposed a vison for European University Networks. Where do you see the future for 5 excellent universities of science and technology? President Macron was the originator of the concept of the European university and we are extremely proud to be one of the first French institutions to follow him in this project. We live in a difficult time when multilateralism is threatened by a number of leaders in the world and today, more than ever, Europe must be supported in all fields and should speak with one voice. Europe can only be strong if politicians, corporations and populations at large communicate and work together. Multilateralism should be protected and fostered in all fields and universities should play their important role in this mission. Teaching, research and entrepreneurial initiatives of our universities should evolve to enhance, more than ever, cross-disciplinary work and thus provide opportunities to complement traditional department-based structures with multidisciplinary approaches focused on well-identified societal challenges and thus bring Europe much closer together. Science and industry will request from our graduates that they be savvy at solving complex issues involving several sciences, while being respectful of general interest. From us, this requires a specific effort that could be made in our close collaboration in learning sciences, enabling us to develop new pedagogical tools and channels aimed at fostering multidisciplinary approaches and thus to take part in the project proposed to the European Union by President Macron.